A historic deal or a historic mistake? The nuclear deal hatched out between Iran and the P5+1 group to limit the Islamic Republic’s nuclear ambitions in exchange for sanctions relief has already proved divisive. President Barack Obama faces revolt in Congress and from key allies such as Israel and Saudi Arabia. Other states in the Middle East and the West, in addition to the UN and the International Atomic Energy Agency (IAEA), have hailed the concord as a key breakthrough in securitising one of the world’s most volatile regions. But what about Iran? Prime Minister Hassan Rouhani and his chief negotiator in Vienna, Foreign Minister Mohammad Javad Zarif, have received widespread praise for the deal, which could be the precursor to an Iranian economic renaissance. Will this be enough to halt Iran’s nuclear intentions? A look at its recent history suggests not. Iran’s nuclear programme predates the current regime, originating during the dying days of the Shah’s US-backed rule. The Shah was keen to develop nuclear infrastructure as a civilian power source, much in the same way the current Iranian leadership claims it is pursuing nuclear energy. At the same time, however, there were rumours that the Shah potentially sought a nuclear deterrent to hedge against the communist ambitions of the Soviet Union and China, by then both nuclear states. Enemies in the Middle East also made the idea appealing, although it is unclear whether it was seriously pursued prior to the Islamic Revolution. Undoubtedly, it was during the 1980s that a covert Iranian nuclear weapons programme began in earnest, even if Supreme Leader Ayatollah Khomeini was none too keen on the idea. Despite the Shah having signed up to the Treaty on the Non-Proliferation of Nuclear Weapons (NPT), Iran’s goal of building a nuclear arsenal emerged in the 1980s. It was during this decade that the Revolutionary Guards – chief protectors of the Islamic faith in Iran – took control of nuclear development. The timing was not coincidental. At the same timet he Iraqi regime of Saddam Hussein was pursuing its own nuclear warchest and, having entered into war with its neighbour in 1980, Iran had a key incentive to engage in a nuclear development race. Saddam’s brutal tactics during the Iran-Iraq War – including the use of chemical and biological weapons – meant that international focus remained on his nuclear programme on the conclusion of hostilities in 1988. This allowed Tehran to continue its pursuit unabated and it was given a helping hand in the 1990s by the renegade Pakistani nuclear physicist A.Q. Khan. Khan sold crucial nuclear technology to the Iranians who established sites at Arak and Natanz to pursue their dream, all the while insisting to the IAEA that their development was for peaceful purposes. Despite its relatively brazen approach to nuclear development (although it is perhaps not quite in the same league as North Korea), it took until a 2002 revelation by the Marxist Mujahedin-e-Khalq (MEK) group for the world to truly appreciate the scale of Iranian nuclear ambitions. Only then did a policy of economic, military and technological sanctions take hold which, despite a brief period between 2003 and 2005, failed to make Tehran halt its programme. Of course, the Iranians have always insisted that their nuclear goals are for civilian and medical purposes only, though the evidence points elsewhere. Certainly, given its relatively tame counter-arguments to the accusations of the West, and its hardball antics during years of negotiations, it is easy to see why many point to Iran as disingenuous when it vows to curb its nuclear plans. Current Supreme Leader Ayatollah Khamenei is a virulent anti-Western, anti-Israeli cleric who is unlikely to want Iran to give up on nuclear weapons for good. Whatever Rouhani and Zarif agreed, the Ayatollah would have to have signed off on and the celebrations in Tehran that followed the announcement of a deal suggests that he has pulled off a strategic coup. 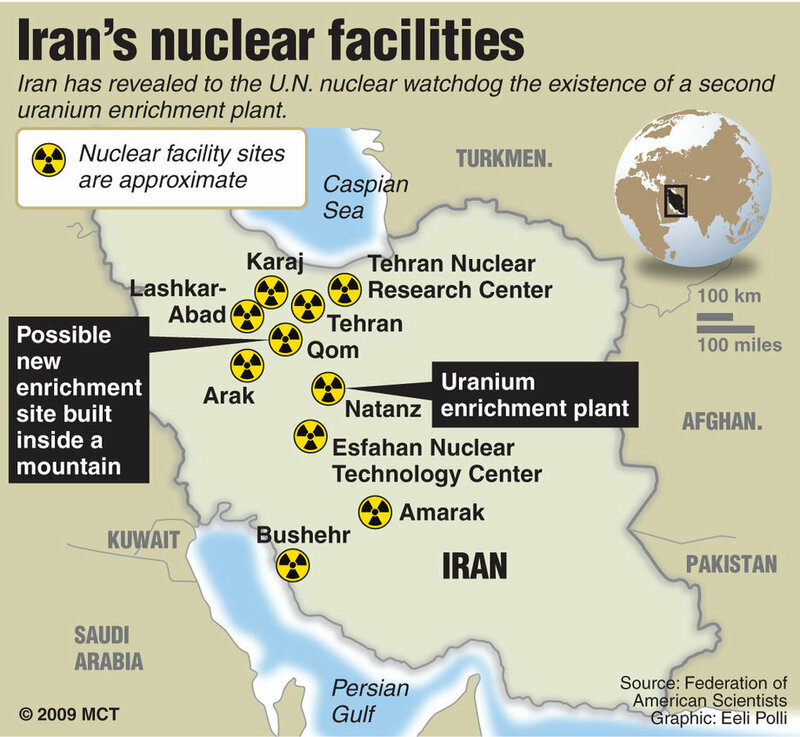 Whilst it will be difficult for the Iranians to continue nuclear enrichment on a military scale with slated IAEA inspections, there appears little doubt that the suspension of the programme is merely that. At the earliest convenient opportunity, the reactors will go back into motion. Iran’s misleading and secretive development over the past three decades is testament to this. As such, it would be no surprise to see Saudi Arabia take the nuclear path, joining Israel and Pakistan to make the Middle East an even less secure place than it is today. There is no doubting the good intentions of the P5+1 group and it may be that they have further plans to reinforce this deal with a more lasting settlement. However, the history of the Islamic Republic suggests that nothing but military force, or a violent revolution, will change its outlook and desire for regional supremacy. Given Israel’s nuclear status this will necessarily mean that Iran will have to replicate the achievements of its arch-enemy. People are right to be sceptical; Iran is a state to be mistrusted. With sanctions relief creating extra funds to bolster its militia/terrorist allies in territories such as Syria, Iraq, Lebanon, Palestine and Yemen, the ‘historic’ nuclear deal may just have made the Middle East a whole lot more dangerous. 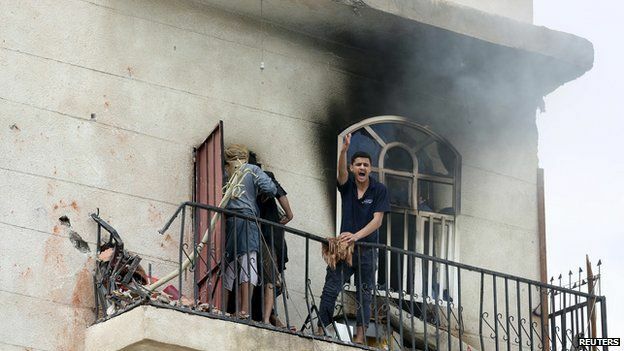 Yemen Crisis Deepens: is it time for decisive action? The UN is warning of yet another potential humanitarian crisis in the Middle East as the citizens of Yemen become the innocent victims in the Saudi-led air campaign attempting to halt the advance of Shiite Houthi rebels, who now control large swathes of the strife-riven country. Complicating matters is the division within the Yemeni Army. Whilst some troops support the ousted President Abd Rabbuh Mansur Hadi, others are in favour of the Houthi insurgency, whilst further factions still are fighting for the return of former strongman Ali Abdullah Saleh, who stepped down during the Arab Spring in 2011. Added to this is the Iranian support for their fellow Shiites, whilst the US and other Gulf states have taken the side of Saudi Arabia and Hadi. The US, whilst not directly involved in the military intervention, is providing logistical and diplomatic support to its participants. Taking advantage of the conflict and confusion is Al-Qaeda in the Arabian Peninsula (AQAP), at this time the most formidable branch of the terrorist organisation. But where is the UK in all of this? Its embassy in the capital Sana’a was withdrawn in February and, unsurprisingly, travel to the country is expressly discouraged. But should the UK being playing a greater role given its history in the region? The southern port city of Aden is currently the battleground between Houthi/Saleh Shia forces and the Sunnis loyal to Hadi. Between 1839 and 1963, Aden was a British possession, first as part of the Raj and then as a Crown colony. Surrounding it was the Aden Protectorate, effectively the southern and eastern parts of Yemen now controlled by either Hadi loyalists or AQAP. In 1963, the crown colony and the protectorate merged to form the the Federation of South Arabia, part of the Commonwealth. On independence in 1967, the Federation became the People’s Republic of South Yemen, subsequently the communist People’s Democratic Republic of Yemen. Meanwhile, the northern part of the country, centred on Sana’a, experienced an altogether different history. Formerly an Ottoman enclave, it gained independence as the Mutawakkilite Kingdom of Yemen after the First World War. Its religion was strictly Shia Islam and it was ruled with an iron fist by the monarchs Imam Yahya Hamid ed-Din (1918-1948) and Ahmad bin Yahya (1948-1962). On the latter’s demise, the state became known as the Yemen Arab Republic. North Yemen, as it was commonly called, fell under the dictatorship of Saleh in 1978 and in 1990 he helped orchestrate a merger with the south to form modern Yemen. An attempted secession by southern militants in 1994 resulted in the Yemen Civil War, which the North quickly won, despite Saudi support for the secessionists. As with many of its former colonies, Britain has remained detached from subsequent events in this country that it helped forge. At the moment, there does not seem any logical reason why the British Government would get militarily involved in Yemen, particularly during election season. Whereas the US has made the mistake of tentatively supporting the Saudi-led campaign – despite the participation of detestable governments such as Sudan and the dreadful humanitarian crisis the bombing seems to be creating – the UK has steered clear. However, the justification for intervention in Libya was predicated on the protection of civilians. Were there a viable way to safeguard innocent citizens from the overspill of conflict, an unprecedented opportunity may now be available to prevent the worst excesses of the Iranian-backed Houthis, destroy AQAP and tip the balance of power on the Arabian Peninsula towards pro-Western states. The UK has a long history in Yemen that few in the country are aware of. The country now become a critical staging point for the proxy-battle of the Middle East between the Saudi/Sunni and Iranian/Shia axes. Sooner or later, the West will have to get more directly involved if this conflict is not to spread globally. If not in Yemen, it will be somewhere else. Now might be the time to show some fortitude and strike for a peace that, quite frankly, few people can envisage. Author Stefan LangPosted on April 15, 2015 Categories Middle EastTags Aden, Aden Protectorate, Ali Abdullah Saleh, AQAP, British Colonialism, British Foreign Policy, Houthis, Middle East Security, Saudi Arabia, Yemen, Yemen Crisis, Yemen HistoryLeave a comment on Yemen Crisis Deepens: is it time for decisive action?